Hi there! My name is Jody! 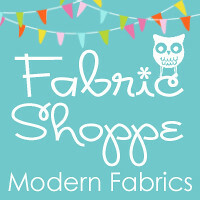 I am a wife, mama, and own the Fabric Shoppe! I love to find BEAUTY in EVERYDAY life! 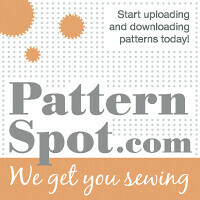 I hope to inspire you here with fabrics, tutorials, recipes, and crafty inspiration! Stop back often and enjoy! 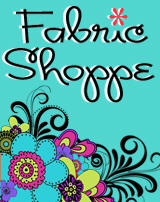 Cyber Monday deals at the Fabric Shoppe! Lark by Amy Butler has brought color into the shoppe! New Delighted fabric by The Quilted Fish for Riley Blake in the Fabric Shoppe! This weeks Featured Customer is My Bella Baby on etsy! I love these little Bamboo Washies! Shop My Bella Baby for great baby gifts at an affordable price! We have soooooo many fun new lines in the Fabric Shoppe right now. Here is one, just in time for summer! New Metro Market by Monaluna for Robert Kaufman! Isn't it yummy?! 8 different prints are available in bundles and individual yardage in the Fabric Shoppe! Today's featured tutorial is this lovely Petal Tee by Ruffles and Stuff! Great way to use up those little bits of fabric we all have around. I love the little one tank option too! Cute and simple! Full tutorial here. I have been planning my little ones 3rd birthday to come in a few weeks and have found so many good ideas on online! Here are a few of my favorites via pinterest. We have some cute new Ann Kelle cuddle fabric in the Shoppe! Well spring is finally here and i think that means it time to celebrate and what better way than with a fabric giveaway! So many ways to win (do 1,2 or all of them) ! Here's how to enter! It is possible to have up to 7 entries total per person! Giveaway open worldwide. Make sure you leave each entry as a seperate comment. I will choose 1 winner in 1 week on Thur May 12th using random.org. Make sure you leave an email so I can reach you if you win the goodies! We will randomly choose which prize goes to which winner! Giveaway is closed! Winners were debora and tiffany and have been emailed! Thanks for playing! I am being inspired by these crochet items on pinterest today! I am a beginner crocheter and would love to make a retro-modern granny square afghan! Just Wing It by Momo has arrived and it is so beautiful. I will let the pictures talk for themselves. Charm packs and Jelly Rolls are also available in this pretty line! Buy Just Wing It in the Fabric Shoppe! Shop Just Wing It fabrics in the Fabric Shoppe!